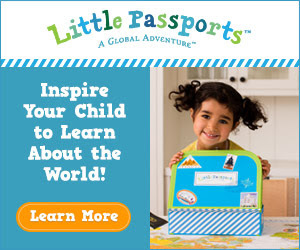 At Little Passports we know that global adventure wouldn’t be possible without a globe to explore. 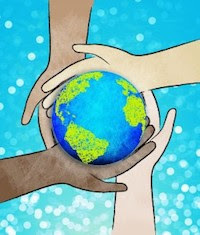 It’s up to each of us to learn about our planet and keep it healthy. It should be no surprise, then, that Earth Day is one of our favorite holidays! This year, people all over the globe will gather in their communities to celebrate. Photo Credit: Shutterstock.com In light of Typhoon Haiyan, which hit Southeast Asia in 2013, young people in the Philippines are holding a convention called “Sulong! Power Shift Pilipinas.” “Sulong” means “forward” in the Filipino language of Tagalog. They want everyone in the Philippines to talk to their friends, neighbors and leaders about using sustainable energy sources instead of fossil fuels like gas, coal and oil. Sustainable energy sources are ones that can replenish themselves (such as wind and water) and would have a lesser impact on the environment. There are many Earth Day celebrations around the world which focus on helping cities switch to these sustainable energy sources and becoming “green” cities. In Kenya, they are organizing a number of “green-city” events such as city cleanups and tree planting ceremonies at schools. In Uganda, they will hold special raffles, football matches, and competitions to bring awareness to conservation projects in the country. With a focus on sustainable energy, the Saskatchewan Environmental Society in Canada is holding the “25 Acts of Energy Conservation” campaign. They are challenging people at home and in schools to take 25 steps to save energy and water and to reduce waste. In an effort to help people stay on track, the society will be posting daily tips. They are even holding a contest for the top 25 acts! 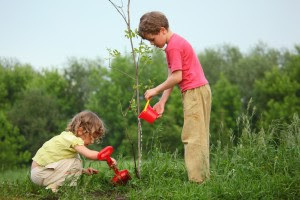 In the United States, schools celebrate Earth Day (April 22) by planting trees and cleaning public parks to create public awareness about ways we can keep the Earth healthy. Here are a few simple ways Sam and Sofia (the cute Little Passports characters) try to keep Earth clean.